Pay Per Click, also known as PPC or Search Engine Marketing, is an online advertising technique where the advertiser pays to promote their website and find the targeted audience. Advertisers analyse for keywords in order to have their ads appearing when somebody searches on Search Engine (Google, Yahoo, Bing etc.) for the related products and services offered by them. PPC offers a fast marketing strategy to obtain visibility in search engines such as Google, Yahoo, Bing, etc. Paid search advertising from Google comes in the form of AdWords ads (Now a days, Google Ads). These Google Ads will usually appear at the of search results thus giving paid ads pretty good visibility above actual SEO search results. SMD Webtech is known as Best Search Engine Marketing Agency in Malaysia. We are providing affordable and best PPC Services in Malaysia. 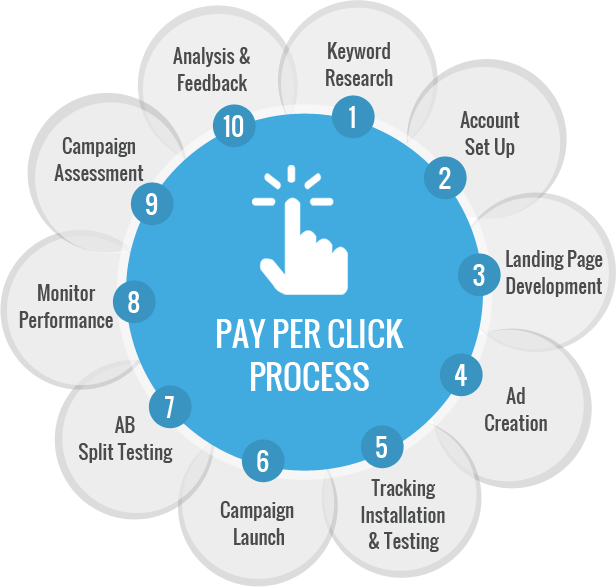 We are one of the best PPC (Pay Per Click) Services Company in Malaysia. Google Ads is a great tool that provides a quick start for businesses which are seeking immediate website traffic improvement and visibility on search engine that operates on a pay-per-click in which users bid on keywords and pay for each click on their advertisements. Using Google Ads, the users can get a lot of advantages which is also good for their businesses. One of that is targeted audience which means Google Ads is able to target audiences by keywords, language and also location. Next, fast results that users will gain to get results as quickly as within a day.